No CPU fan nor case fan. 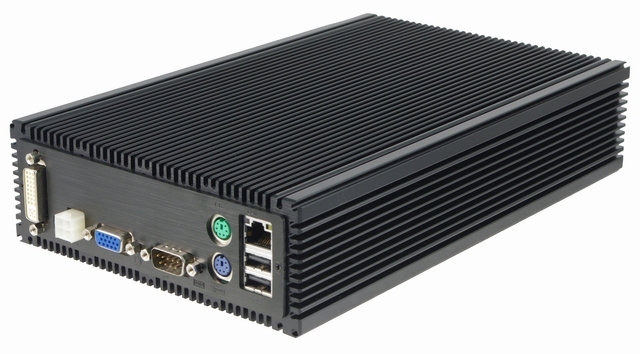 Dissipating the heat by its heatsink as outside rugged enclosure metal case. Ultra low power consumption, ultra shock proof and absolutely noise free. Great design for dusty manufacturer, vehicle, industry and variety applications. Dimension & Weight 6.3" x 9.8" x 2.3"